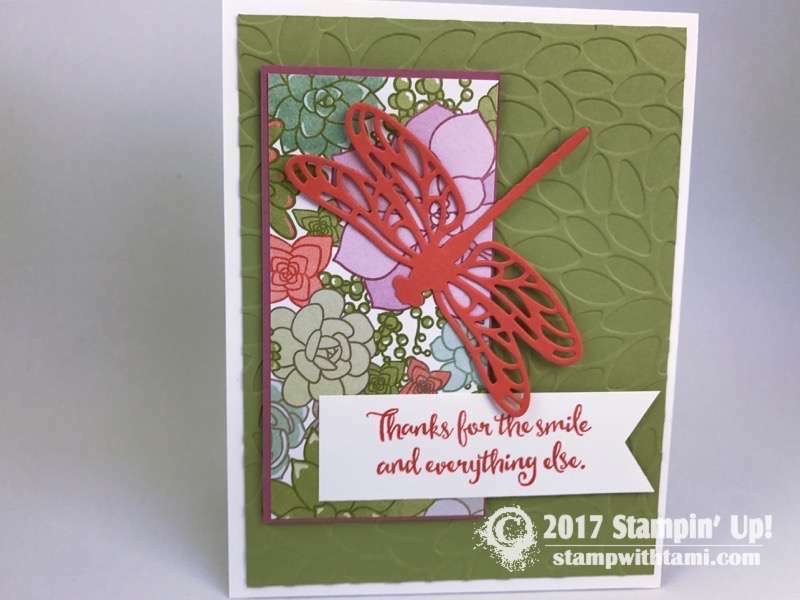 9 WHAT IS THE STAMPIN SCOOP SHOW? 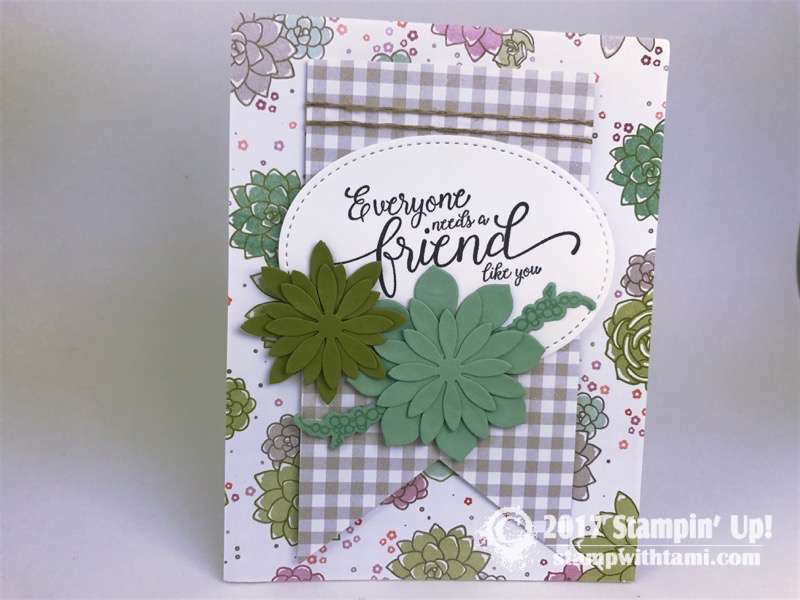 We sure had fun sharing the Stampin Up Succulent Garden Suite on today’s episode of the Stampin Scoop Show. We started out with some audio technical difficulties (no sound), which thankfully we were able to fix right away. 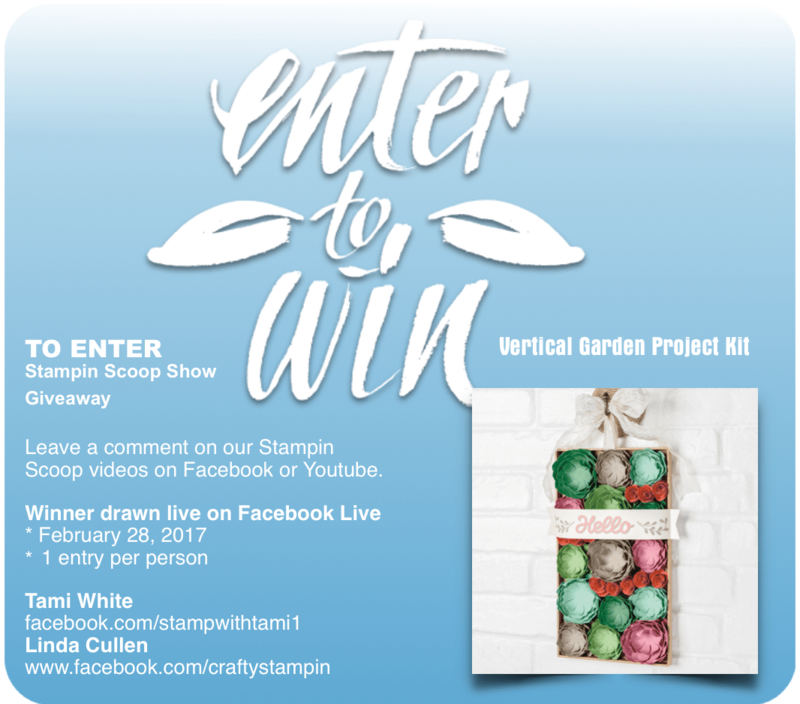 Linda shared the amazing Vertical Garden kit, tips on how to put the flowers and kit together. And then she shared some amazing color combinations she created for the flowers. 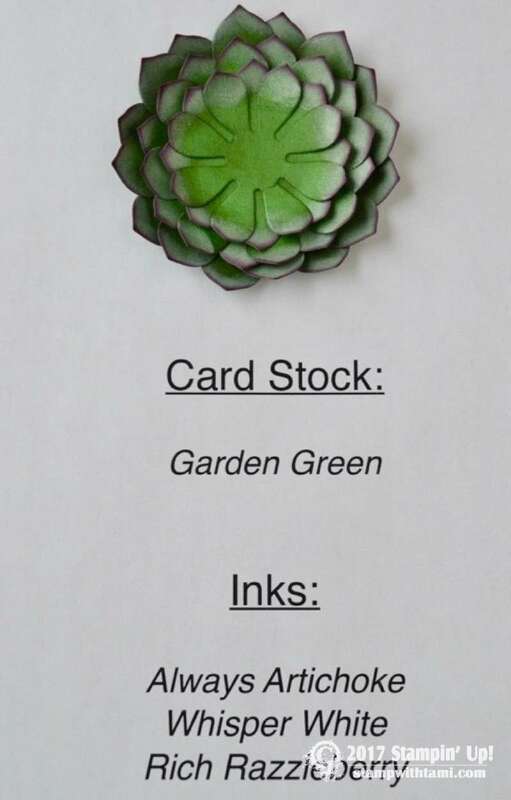 See all of the projects, along with Linda’s fantastic succulent color combos are listed below. Along with the prize patrol winners. To enter leave a comment on the Episode 28 replay video on either Youtube or Facebook. The winner will be drawn live on Episode 30 airing on February 28. 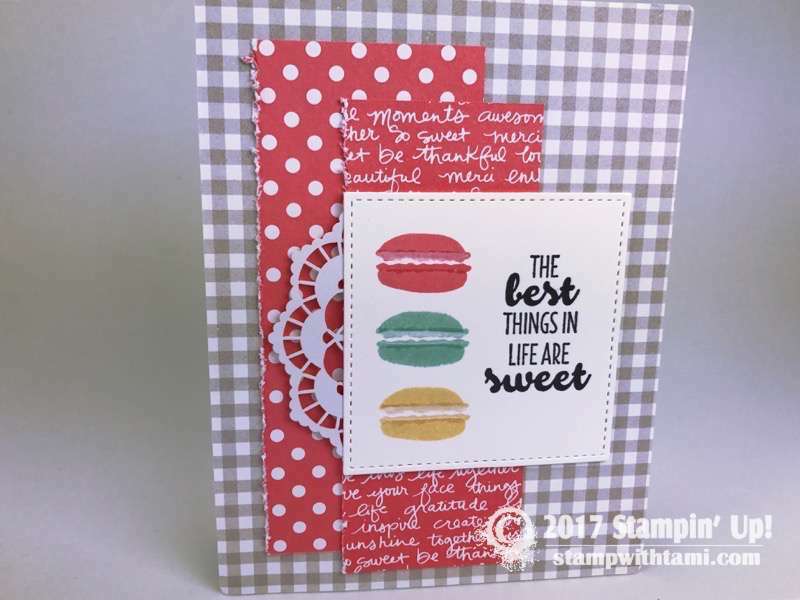 Click here for upcoming Stampin Scoop Schedule. Loved the Scoop! Linda did an awesome job on the flowers! The “Scoop” was great. You two are always inspiring! I think the colors in succulent garden are fabulous. I tend to go to “my” basics but these colors are certainly making think outside the box. Loved how Linda experimented. Another great and inspiring scoop. Always have to catch replays but they are inspiring. 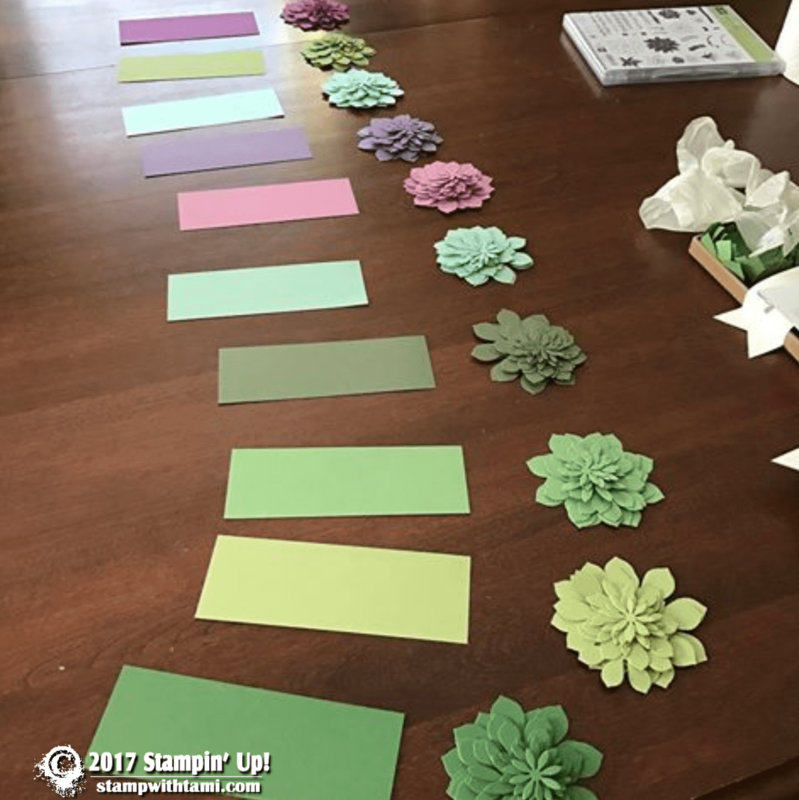 Love all of the color combinations that Linda came up with!! Reminds me of “Hens and Chicks” that I use to have in my garden. I luv the cactus. You and Linda are wonderful. Keep up the wonderful shows ladies. Love the color combinations…I agree with Beth Mills as this little cuttie remind me of Hen and chick plants…. Linda you did an awesome job with the flowers -Beautiful!! Thanks for sharing your amazing ideas!! Sorry, I missed the live show. Linda, you did a fantastic job on the succulents! Saw you were having difficult with the audio in the beginning. Toward the end, the audio faded out by the laughing came through louder. Might have been the Mike placement. “Always love your Scoops”. That was awesome you guys. 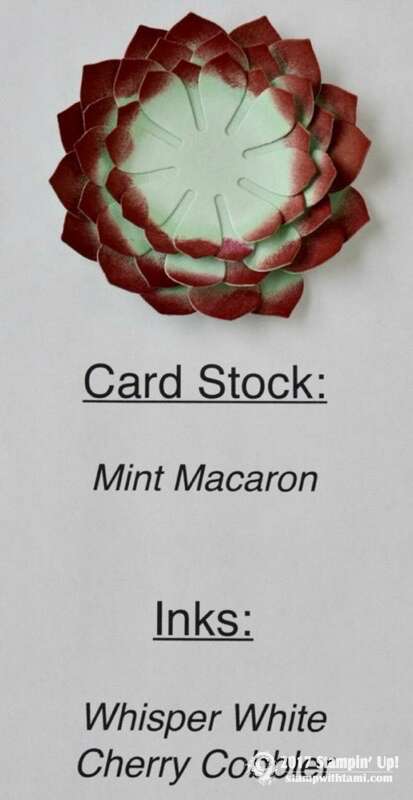 I have a friend that is going to do her wedding bouquet with this bundle. Love it. 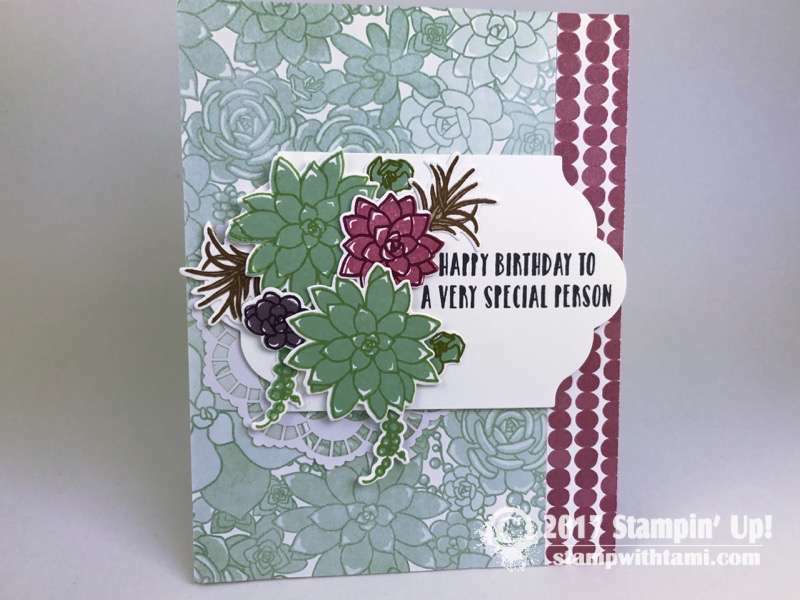 The colors used by Linda sure made the “succulents” more “real” looking……..great job on the color combos. 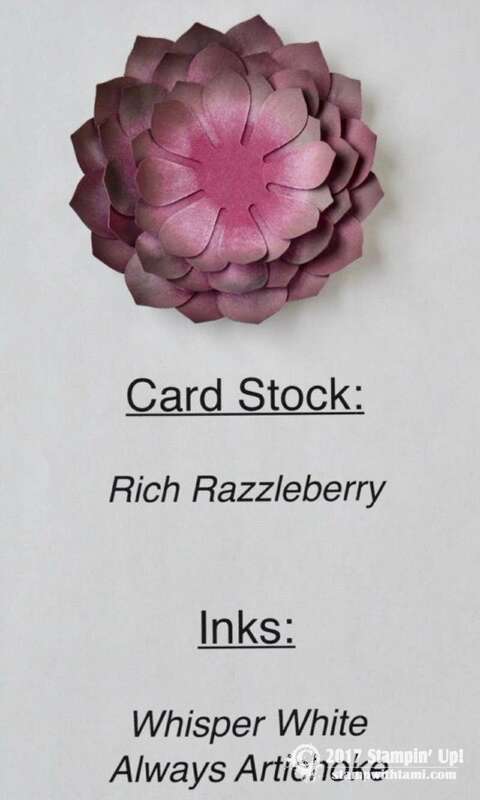 Lovely card samples also. I enjoyed the show! 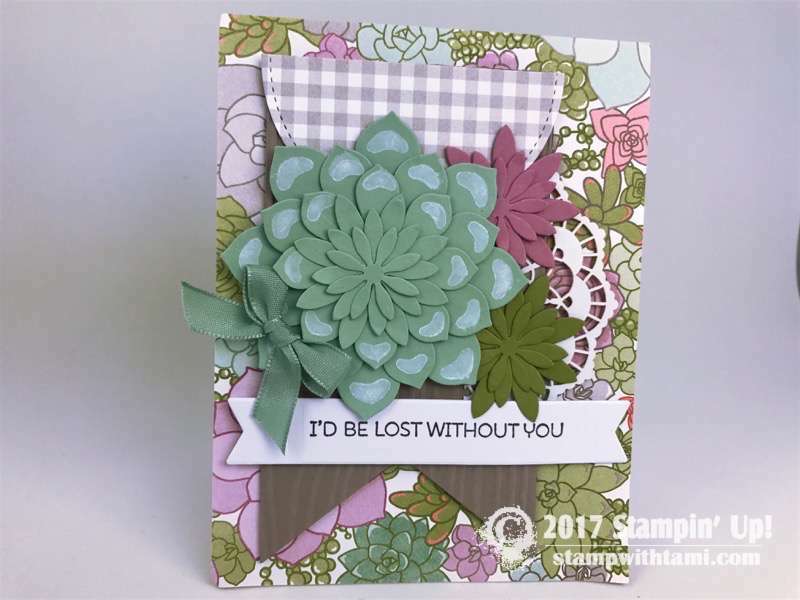 Love the pretty succulents and all the pretty color combos for the samples! 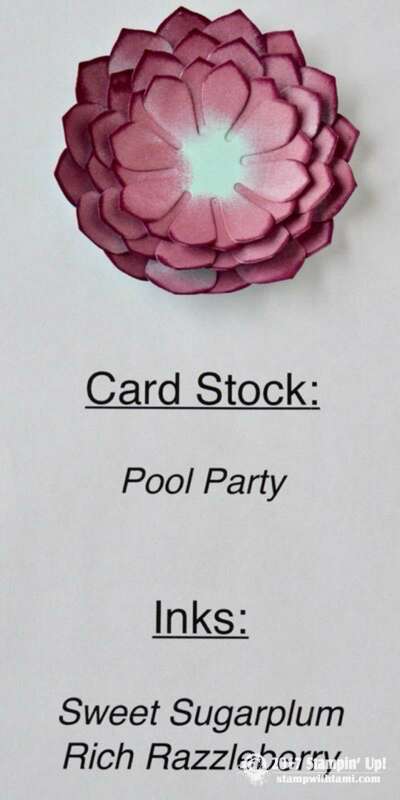 Looks like a lot of fun to make these! 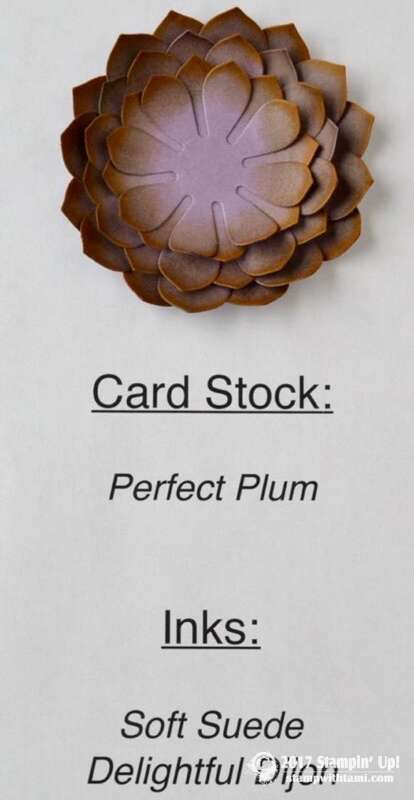 I love these cards they are really an everyday card. That was so beautiful!! How did we overlook this awesome kit. Loved it, as usual! great set!